A glass half empty year? I’ve been looking through several reviews of the year from a number of people, mostly friends, and the overwhelming opinion seems to be that 2011 was a bad year for many. A lot of people seemed very happy to see it go, with a number of references to ‘staking it through the heart’ as though it were an evil vampire year that will never die. I suppose many have good reason to dislike the past year. It seemed to be the year that the recession hit particularly hard in many industries – the public sector cuts hit hard and the retail sector is creating unemployment at a fantastic rate not to mention all the riots and protests that happened. So, there are arguments for it having been a bad year. However, I have seen people declare it a bad year when some really good things seem to have happened to them. 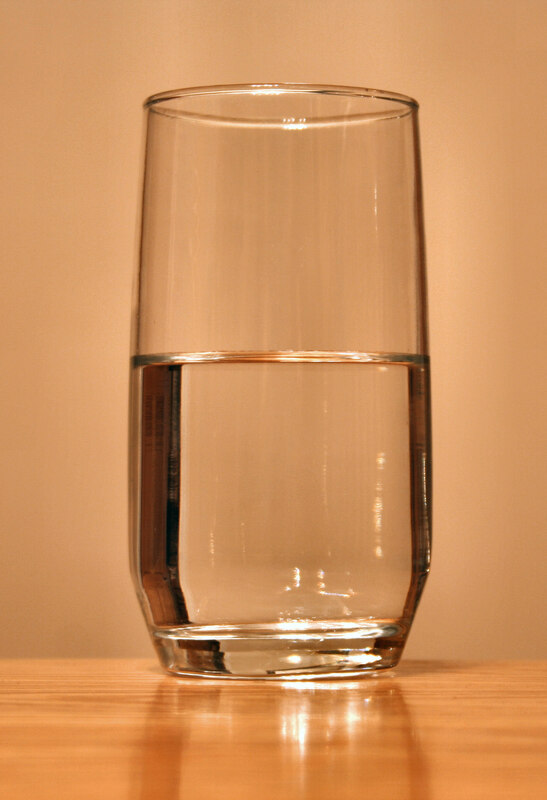 Which leads me to wonder, has 2011 simply been the ‘glass half empty’ year? Have people been declaring it a bad year despite evidence to the contrary? From my point of view, I prefer not to try to rate years in any generalised or specific manner. I don’t like to say it was good or bad, it just was. 2011 was no different. If I were to assess it any way, I would see it as a score draw. The number of good things that happened have been balanced by bad things. – Made a mark on the publishing world. OK, the mark in question is like a very small scratch on a large thing made out of very smooth stone, but the mark is there nontheless. As a result of my two publications (one out, the other pending still) I have also gained more opportunities which have served to increase my exposure. I’ve done guest blogs, interviews and have started doing reviews on another site as well as a rather juicy work for hire job which should prove interesting once it makes it out into the world. In all, I consider this past year to have been a success in terms of publishing. A small success but one which is building. In comparison with other years, this is a massive improvement. – Job situaiton. Moving house did not help my job situation. On the plus side, lots of time for writing. On the negative side, no money. While the start of 2011 had promise with a long term role in a college in Solihull and a chance to clear a lot of debt, the second half of the year has been less promising. Hoping for better job prospects in 2012. So, as I say, overall a draw and a lot of promise for the future. In closing, I would therefore like to say Happy New Year to each and every one of you and hope for a 2012 which, if not better than 2011, at leasts seems to be in hindsight at the end of the year. Let us pledge on this day to make 2012 a glass half full year. In fact, sod it, let’s all complain to the management that the glass we want is a bigger glass and we damned well want it full or so help us we’ll protest or riot or throw a strop or something! Congratulations on your successes! It’s always best to think of the positives that have happened as it is those that keep you moving forward. Great post! If one book published and one in the pipeline equates to only a small scratch then that means I’ve only managed to spot the large, smooth stone thing from a distance. Congrats on your success.